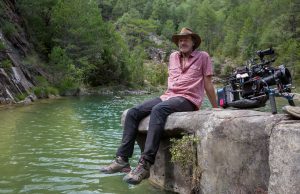 A ramble with America’s Greatest Living Director about his long career and his new “eastern western,” Gangs of New York. Even though many moviemakers I know believe he holds the unsanctioned but undisputed title of Greatest Living American Film Director, it’s still tempting to think of Martin Scorsese as a man stranded in the wrong era, a misunderstood moviemaking genius stuck in a Sisyphean struggle against all the puny producers and myopic studio suits of his time who will never fully understand or appreciate his cinematic sensibilities. A strange way to put it, maybe, but he’s right. Martin Scorsese is not of this modern world because he’s always been way ahead of it. Not just because of his technical virtuosity or his much-emulated style, but because a talent like his belongs to a future none of us will live to see—a glorious, utopian age when the notion of director as artist is taken for granted; when the director is always recognized as a movie’s author and always has final cut. No questions asked. That’s when Martin Scorsese should be making his movies. Luckily for modern moviegoers this is not a just universe, so Scorsese make his magic as best he can amongst us now. And although it’s tempting to think of him as sadly out of place, with his feet cemented in the past and one hand tied behind his back by the present, those fictions only serve to underestimate the man, because none of that has prevented him from sitting quite prettily right now. 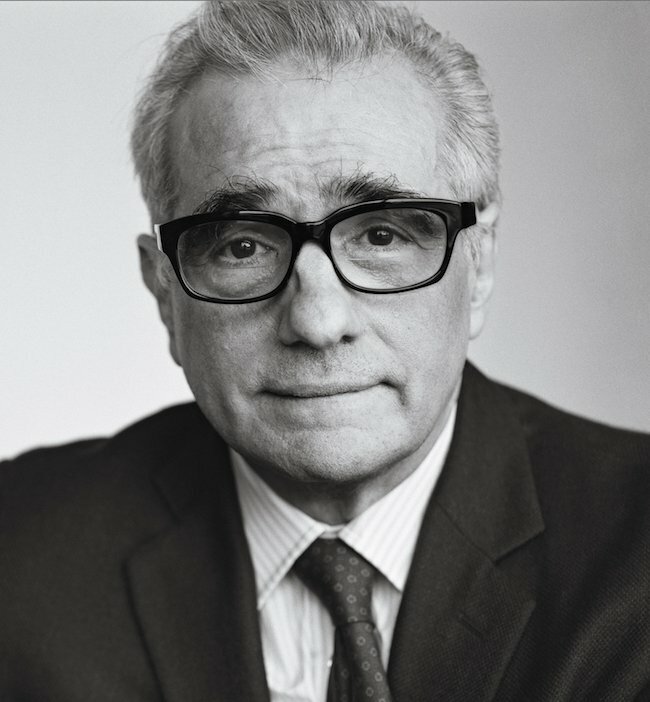 For all the nods to nostalgia and all the fretting about the future, Scorsese is foremost a pragmatist who has achieved no small degree of satisfaction because he’s learned to be successful within a grinding, ball-breaking system. 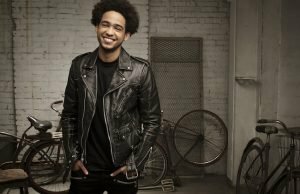 It’s a testament to his endurance and survival skills that in the process he’s been able to get some of what he wants as an artist and most of what he needs as a man. To hear him tell it, one thing Martin Scorsese doesn’t need is to be called an “artist.” God forbid. No red-blooded American director ever claimed to be an artist anyway. “Auteur?” Give him a break. “Auteurs” don’t come from Elizabeth Street. His grandfather built scaffolding. He builds movies. He’s almost that matter-of-fact about it. But he also believes that a cool, blasé mask is as much a part of the traditional director’s gear as a bullhorn and viewfinder. Thankfully, his humility isn’t part of the act, which is what makes him such an immensely likeable, regular guy. Yes, he has the requisite enormous ego that all successful directors must have, but he also has a self-deprecating sense of humor and an explosive laugh. None of which means he can’t also be serious as a heart attack, too. Like all fascinating human beings, Martin Scorsese is one big coil of contradictions—he’s just a tad more tightly spooled, perhaps. What’s changed most for Scorsese over the years is that his budgets have steadily swollen, a logical outgrowth, he says, of his interest in telling stories on “big canvases.” The problem is that each step a director takes up Hollywood’s budgetary ladder, the eternal dilemma of the artist becomes increasingly apparent: should one worry about satisfying the patron, or satisfying oneself? 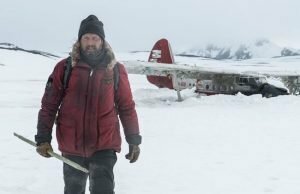 This has to be very frustrating, but a Hollywood director is a uniquely frustrated animal by nature. His job is all about control within limits. It’s about the romance of guiding a vision, making personal choices and conjuring words on paper into a magical dream of light and movement. But a large part of it is also about commanding an army without the authority of being commander in chief. On Gangs of New York, Scorsese was Patton to Harvey Weinstein’s Truman, but by most accounts the genius general in the trenches won the battles he needed to win. And maybe that’s the real reason it doesn’t seem to bother Scorsese so much that he is forced to play this game. This is the way it has always been played, and he’s a guy who respects tradition. But more to the point, he knows how to play it better than anyone. When I arrive at Scorsese’s Park Avenue office I’m warmly greeted by Lois Smith, his longtime publicist. Smith has a vet PR pro’s easy, offhand manner, and while chattering about I have no idea what she ushers me into the 7th floor suite, a rambling series of rooms adorned with a mind-boggling collection of classic framed movie posters that any fan would kill for. I’m on time, but she informs me that “Marty” will be a few minutes late because he just shaved and “his face needs to cool down.” At 74, Smith is a protective, doting, almost motherly figure to her star client. She invites me to pass the time in her small office, which is adjacent to her boss’ spacious corner room with a view. A few minutes later the phone rings, and her manner changes completely. She verbally stands at attention, and as she discusses the details of the day’s tight agenda, it’s plain that Marty is on the line. When today’s interviews are over he’ll fly to a west coast film festival, and then overseas. 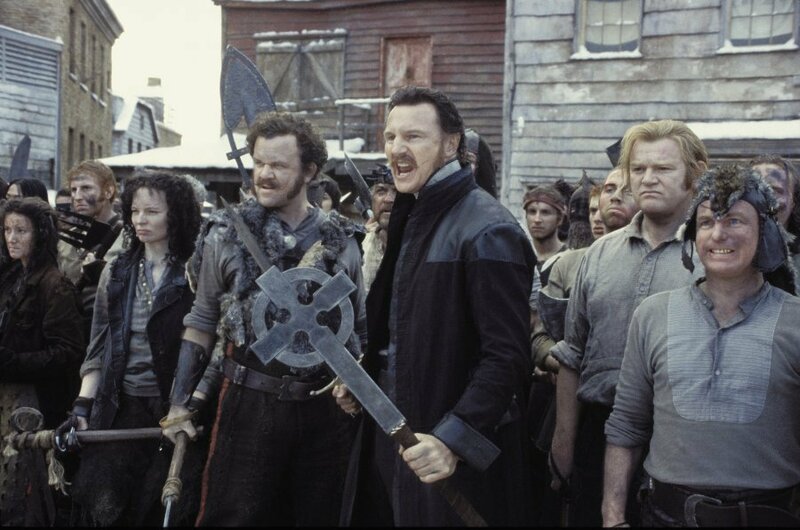 Liam Neeson (center right) and John C. Reilly (center left) do battle in Gangs of New York. quick. Everything about the man is quick. He then adjourns to his screening room for our cover shoot, and when he emerges maybe 15 minutes later, he’s a changed man. Whatever our photographer, Robin Holland, said during the shoot, it worked. He seems relaxed now. Not that his speech has slowed an iota. He still speaks like a guy trying to talk his way out of something. He’ll cut you off, he’ll step on your lines, he’ll talk “ahead of himself,” like his mouth is forever losing a footrace with his mind. He talks like he grew up in a neighborhood where people half-listen, where if you pause for a moment, your audience is gone. Maybe that’s one reason his power of concentration is so remarkable. He can go off on tangents for paragraphs, but he always comes back to the point. 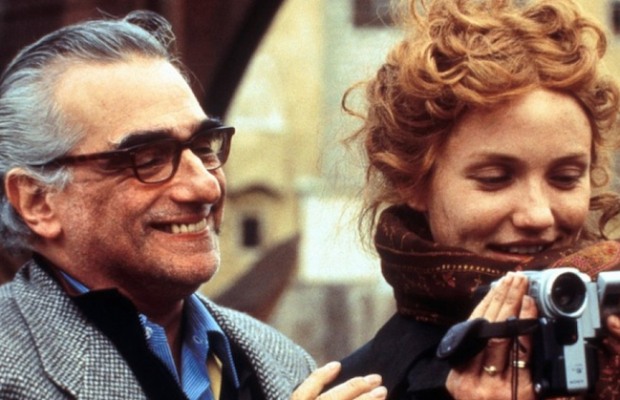 Scorsese speaks often of the past, but he has a surprisingly youthful outlook. He’s always learning, always hungry for knowledge, still openly excited about the process of making movies. He’ll even tell you (with a straight face) that he is still “learning to tell stories with pictures.” If one ever wonders whether to launch a career in this turbulent business, Martin Scorsese’s attitude should provide courage. Despite it all, he seems fulfilled. And very grateful. But that doesn’t mean he’s content. Not by a long shot. He knows he’s found his place in history, but it’s the future he’s concerned about, and he’s trying to find his place there, too. 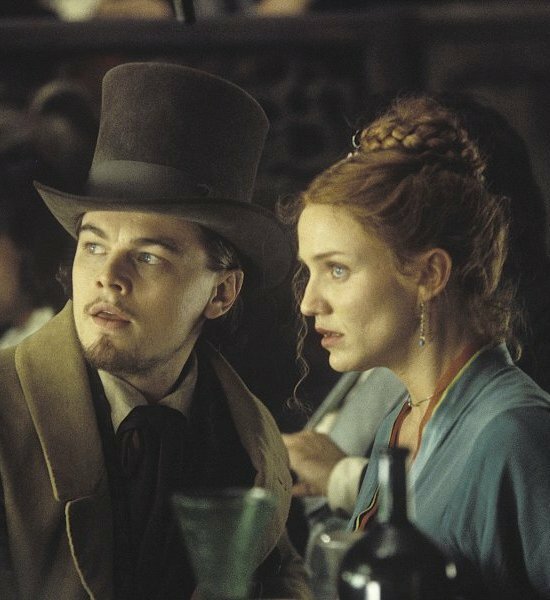 Cameron Diaz and Leonardo DiCaprio mix it up in Gangs of New York. Tim Rhys, MovieMaker Magazine (MM): So thanks for meeting with us. Martin Scorsese (MS): Yes. I’m sorry it’s taken so long. MM: I have a lot of questions and I’m going to dive right in. I know it’s hard to be introspective this early in the morning. MS: It’s okay. I’ll try my best. MS: —“New York filmmaking” is already a problem. There’s regional filmmaking in America, but it’s American cinema, you see? This business of creating a cinema of different regions—San Francisco, Chicago, New York and Los Angeles—it separates and puts barriers between filmmakers. It’s a problem. There’s been this talk of “New York filmmaking” mainly from the early ’70s. Prior to that, you had some films made here in the ’60s, but really very few were made in New York until after World War II. There was Neorealism, Jules Dassin’s Naked City, the 20th Century Fox films—Kiss of Death and that sort of thing. But it’s interesting. It expanded as the cameras got lighter and easier to move around, so— . MS: —We wanted to make the film, the story, so badly. We thought about San Francisco, but the nature of the city isn’t the same, where a person hails a cab and gets in. As Paul Schrader put it, the passenger has control of your life for the next 10 minutes, an hour. In a way, anything can happen. It’s a very strange feeling. Related ItemsAlice Doesn't Live Here AnymoreBoxcar BerthaCameron DiazCasinodaniel day-lewisgangs of new yorkGoodfellasHarvey KeitelHoward HawksJoe PesciJohn C. ReillyKundunLeonardo DiCaprioLiam NeesonMartin ScorseseMean StreetsMichelle PfeifferNew YorkNew York New YorkPaul Sorvinoraging bullRay LiottaRobert De Nirotaxi driverThe Age of InnocenceWho's That Knocking At My Door?